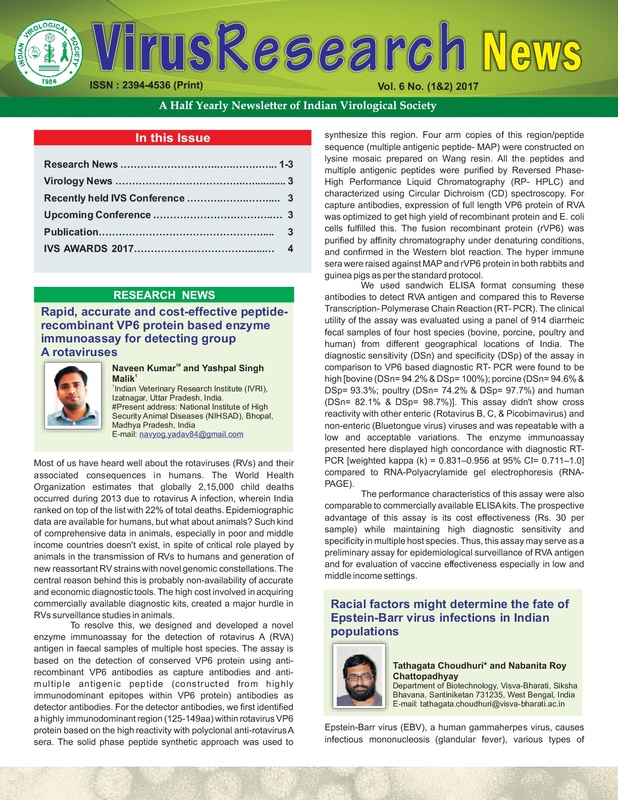 The Society also publishes the Newsletter, “Virus Research News” biannual. Submit news article, which has some application prospect to any one of the editors. The article to be written in a popular format not exceeding 1000 words with a few simple table and or high quality figures. Article structure: Title, author(s), full address, email, telephone, self photo of corresponding author, running text.